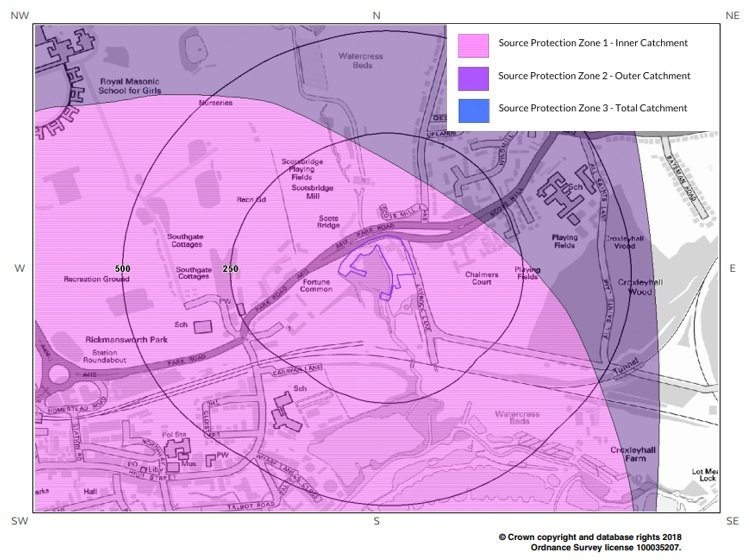 McCloy Consulting completed a Detailed Quantitative Hydrogeological Risk Assessment for a proposed residential development located within a hydrogeologically sensitive area, which has also been designated as a SPZ1 (Source Protection Zone 1). The proposed development included the construction of a basement below the groundwater table within the chalk aquifer. Specific expertise in groundwater flow and contaminant transport. Completion of assessment within extremely tight timeframe to meet planning application submission date. Proactive liaison with Environment Agency to ensure that the findings of the assessment would be acceptable prior to submission. Sensitive handling of a site located within a SPZ1. Design and management of intrusive site investigation – borehole drilling works and aquifer / groundwater testing and monitoring. Detailed groundwater flow model using MODFLOW. Contaminant transport assessment including assimilative / dilution capacity assessment. The assessment demonstrated that the impacts of the proposed development on the water environment would be negligible, and that the protected groundwater abstraction(s) would not be affected.